Your document has to be a PDF-file format (Portable Document Format) to upload it. If your idea is in a file format other than PDF you may convert your document to PDF using one of the options below. 1. Your file must be unsecured. 2. You need portrait view. See below. 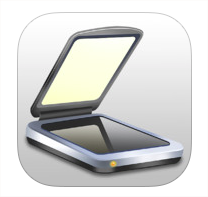 The TurboScan App turns your iPhone into a multipage scanner for documents. With TurboScan you can quickly scan your documents and store or email them as multipage PDFs or JPEG files. For more information, click on this link. NOTE! CC Proof has no affiliation with any of the companies and/or websites mentioned on this webpage. Use of these is always at the user’s own risk. You can use the Microsoft Office-programs to save your files as PDFs. Click the File tab. In the ‘File Name’ field, type or select a name for the document. 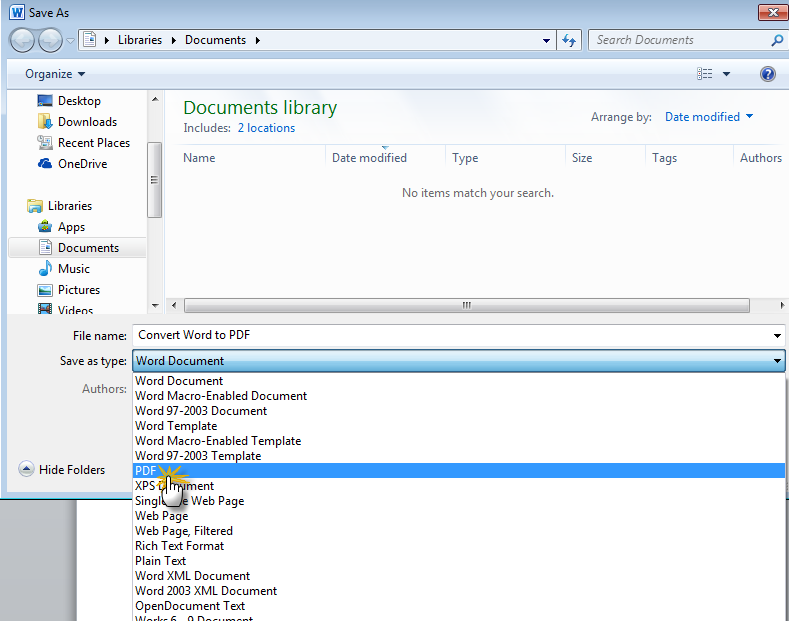 In the Save as type list, click PDF (*.pdf) instead of Word-document. Click ‘Save’. Your document is now saved as a PDF-file. Several programs and websites are available on the Internet which can convert a file to a PDF-file. The website Doc2PDF.net will convert files to PDFs within minutes, free of charge. An error occurred in the upload? This use of your web browser could be the cause of the error. Especially using Mozilla Firefox or Safari. Try to use a different web browser. If the problem continuous with a different web browser (for example Internet Explorer or Chrome), please contact us: info@ccproof.nl. ‘The file could not be uploaded. Please verify that your document is not protected, has a pdf version of 1.4 or lower and is in portrait view’. Powerpoint presentations often have a ‘Landscape’ view. What to do now? 1. Save your PowerPoint as a PDF file. 3. Select ´Handouts´ instead of ´Slides´. 4. Choose the number of slides per page. Make sure your document is readable, so not too many slides per page. You can do this by downloading the application CutePDF Writer. This application installs itself as ‘Print option’ in applications like Adobe Reader, Microsoft Word etc. Click here and click on the right on ‘Free download’. Press ‘Perform’ (uitvoeren), ‘Next’, ‘I accept the agreement’. Note the checked boxes in the following screens. If you don’t turn these checks off, a search bar, a home page and a few tabs will be installed. If you don’t want this, then make sure the checked boxes aren’t checked. Press the ‘Decline’-button when the screen about Simplifast pops up. This application has nothing to do with the application CutePDF Writer, which we need to change your files into PDF. Lastly press ‘Install’. CutePDF Writer will be installed. After installing CutePDF Writer, the application is integrated as a print option. Open the relevant document. Press the ‘File’-button on the upper left and then press ‘Print’. Select as ‘Printer’-option: CutePDF Writer and then press ‘Print’. Wait for a few seconds until a screen appears to save your file. Save your file.